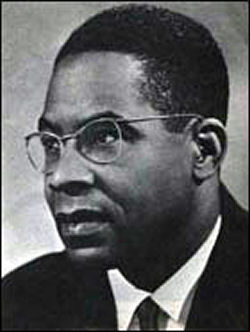 I first discovered the poetry of Aime Cesaire in a college class about surrealism and literature. I loved surrealist painting, but the actual literature left me cold. It was rootless and meandering, vaguely aligning itself with leftist politics and magic. Then I learned about the Negritude movement, a kind of offshoot of the Surrealist movement. The Negritude movement was comprised of people from the black and African countries colonized by the French. The subtext–the dismantling of the colonialist rhetoric–added passion to the magical imagery of surrealism. And Cesaire was the chief sorcerer of Negritude. His poetry was full of galvanic imagery: serpents, swamps, decay. It was underscored by mythology and righteous anger. Words and images erupted from the page–even in translation, their power is awesome. Not since Rimbaud, had I read such a marvelous derangement of the senses. I was cast into a world as immersive as any fantasy novel. Here was truly revolutionary poetry, that set the soul aflame.